Tô na Rede is carried out by Instituto de Políticas Relacionais, in partnership with Sistema Nacional de Bibliotecas Públicas (SNBP) and the Bill and Melinda Gates Foundation. The project proposes to improve and increase the engagement of public libraries with their community and the use of Information and Communication Technologies by library employees in meeting the community’s demands. We use participatory methodology to develop activities plan in each library/city. Tô na Rede is produced based on the demand of each state, each municipality where the library is inserted, according to local reality and establishing partnerships with local governments and communities. The pilot took place in three cities: Belém (PA), Arapiraca (AL) and São Paulo (SP) with face-to-face and virtual training from 2012 to 2014. 5 Points of Information and Communication – implanted as a Tô na Rede space. Since 2015 we are reaping the results of each place, depending on the partnership held that points to the sustainability of the project with the main objective of fostering the creation of a sustainable network of knowledge, reading and information in the cities benefited by the project, enhancing the role of the public libraries of these municipalities, so that they became modern spaces of interaction, creation and dissemination of information with the involvement of the communities around the libraries. Our actions are directly linked to the 17 sustainable development goals of the United Nations’ (UN) 2030 Agenda. We are currently working on the process of interiorization in Pará, with meetings in 6 regions of state integration and mapping of libraries in 144 municipalities. In Pernambuco, we have been training in Recife with the presence of another 14 municipalities. 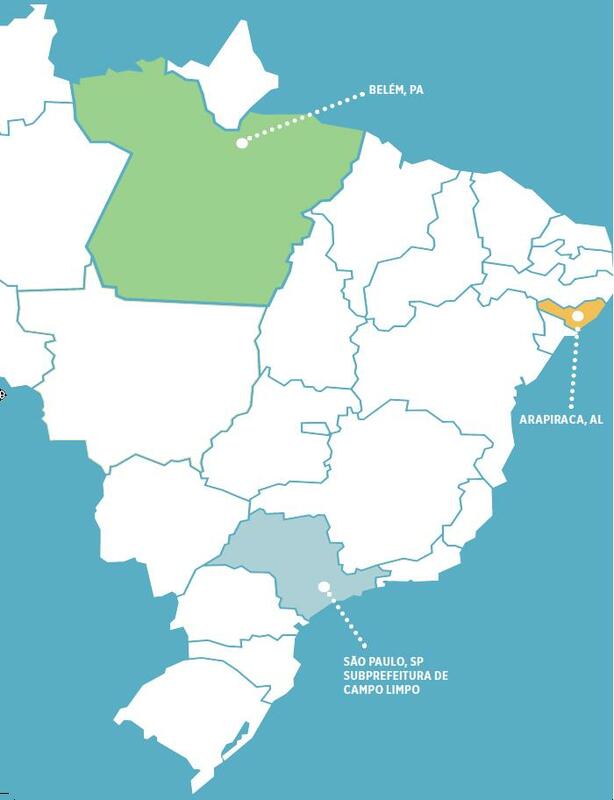 We are in pre-production in São João da Boa Vista, Birigui, Pirajuí, São José do Rio Pardo in the interior of São Paulo and Aracati (CE) and Canela (RS). If the municipality that you live or work in has interest in the program please contact us!